No GED- Are You Smarter Than A 5th Grader? The other day I was flipping through the TV channels and came across the show “Are You Smarter Than A 5th Grader”. If you’re not familiar with the show it’s basically a game where an adult has to answer questions and they get to have the help of smart young people in the 5th grade. The show is “cute” but if you don’t have your GED yet it can be a good way to combine entertainment with studying for the exam. Now you may be saying the GED is on high school material and not 5th grade topics. Yes that’s true but many of the questions are an excellent review for all basic topics to include math, science, history and social studies. One of the questions they asked when I was watching was about “pi” and it’s value. This same question could have been repacked as a GED exam question- I know because I have written math tests for many, many years. So, if you’re looking to study for the GED in a creative and fun way I would suggest checking out the show and other great TV resources to include the History channel, PBS and Discovery- and if you have kids it’s a great way to get “smarter” as a family as well. Watching The Lesson Videos Are Not Enough! 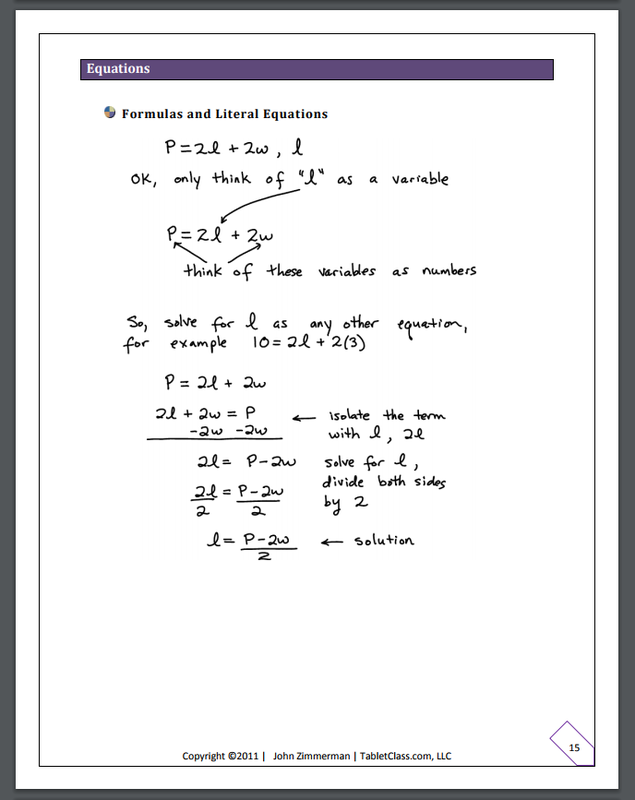 THE LEARNING MATERIALS YOU NEED TO UPGRADE YOUR MATH SKILLS FOR THE GED! Don’t Waste Time And Start Building The Math Skills You Need For The GED! 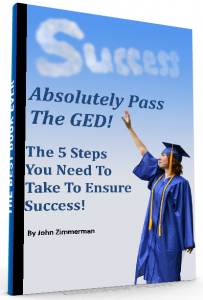 Taking my free GED math course is a big step to help you prepare for the GED. 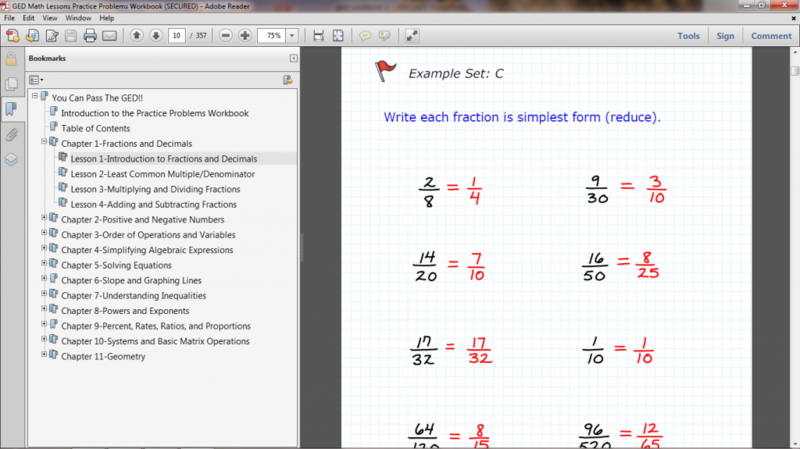 The course will help you learn core middle and high school math skills but you also need to do your part and practice! 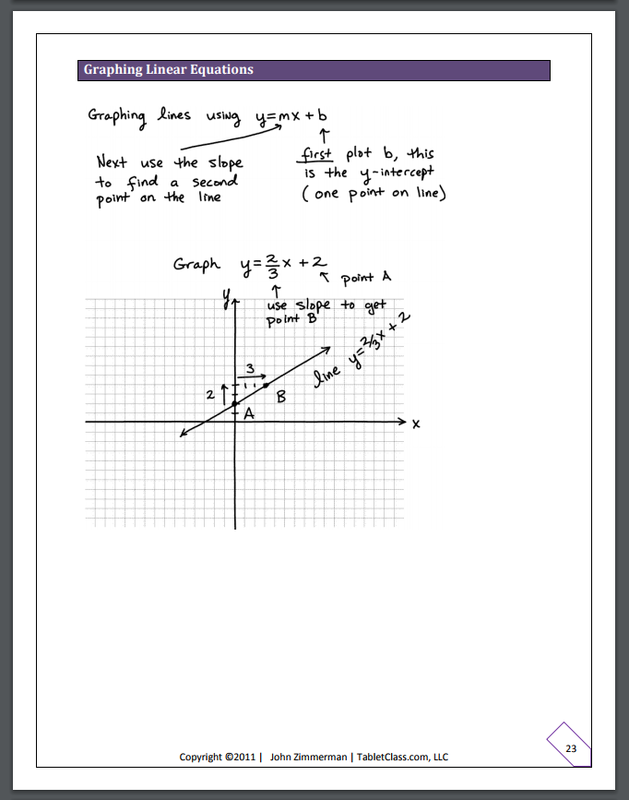 As such I created a workbook for this course that is designed to give students practice problems and solutions to strengthen their skills. In order to truly master math concepts you must practice a wide variety of problems. 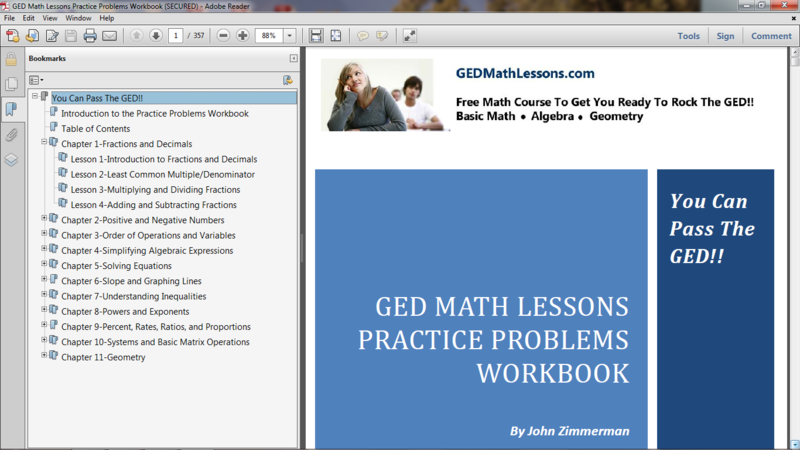 This workbook is an extremely valuable supplement that all students using GED Math Lessons should have. A Workbook Designed To Help You Build Your GED Math Power! Complete Problem Sets Designed To Build Up Your Skills Step-By-Step! 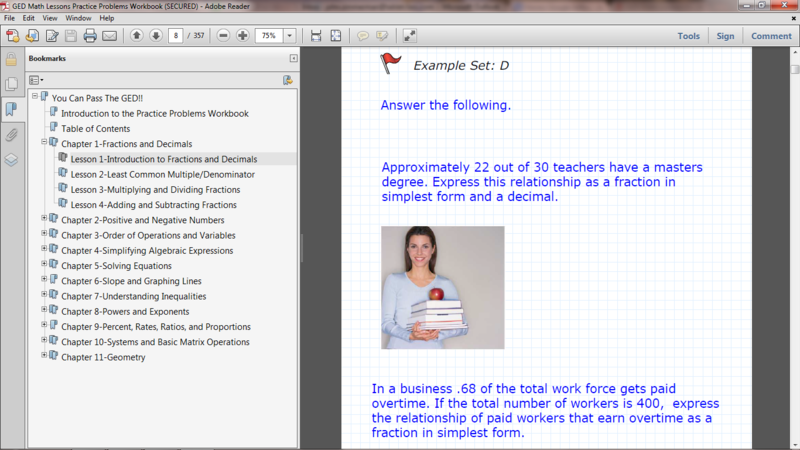 Along With The Problem Workbook, You’ll Get An Easy To Understand Self-Teaching, Detailed Math Notes For The GED! 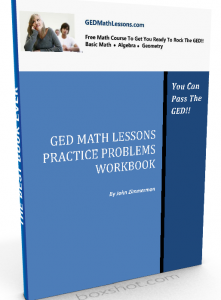 GED Math Concepts Explained In A Step-By-Step Way! This Package Deal Also Comes With My eBook That Explains The Best, Most Effective Way To Study For The GED! Take A Big Step Forward In Passing The GED! Note: All products are eBook downloads so you will gain access as soon as you purchase! Buy Your GED Math Workbook – Note System and 5 Steps Power Pack Combo NOW!